Create subaccounts to drill down to the smallest details. Property Matrix is a powerful accounting software that enables you to create subaccounts and track expenses and income accounts by categories. Drill down even further to track the smallest details! Break up your accounts into categories and subcategories so you can easily total them or analyze details in separate categories.  Drill your expenses down to individual categories on specific properties for the most detailed analysis.